The Ramblings of an Endurance Junkie: Xterra Worlds 2015 Countdown: 4 days to go.....Travel Day! Xterra Worlds 2015 Countdown: 4 days to go.....Travel Day! Wednesday and 4 days to go! 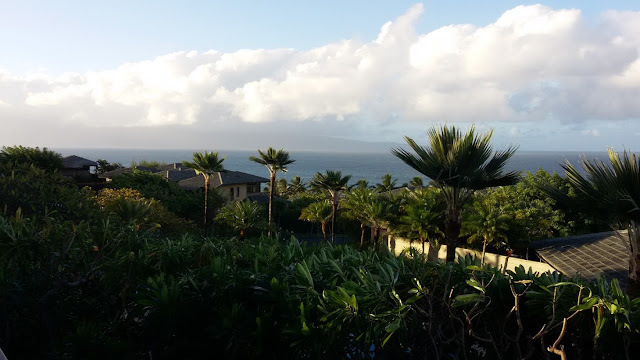 We finally travel and get to Maui. A nice early 345am wake-up call, a short ride to BWI, pay extortionate prices for luggage and the bike and we even had time for the Silver Diner. Vacations are fun, the travel to get to your destination is never much fun! We headed to Phoenix for the first leg and then on a packed flight to Maui....yes a bunch of triathletes were on board but a heck of a load of kids to disrupt the sound of the Antman movie on the tiny above the head screens. It felt like transatlantic flights in the 80's! And boy Maui is a long ways away! We finally landed at 200pm local time headed to baggage and waited along with all the other nervous triathletes in the hope that one of the big back boxes would a) be ours b) have a bike in it and c) have a unbroken bike in it. We went three for three and the Orbea Oiz was still in one piece after TSA had their way. Next up was cramming all the luggage and bike boxes onto the car rental shuttle and then being offered the "special offer" of a convertible Jeep Wrangler (apparently that is what you have to drive in Maui). Upon refusal we then got upgraded for free to a very Presidential blacked out SUV....that's how we roll and critically more than large enough for the bike! You might sense a theme that travel day is all about getting the bike to the destination in one piece. The resort here looks fantastic and a great setting for Xterra Worlds! 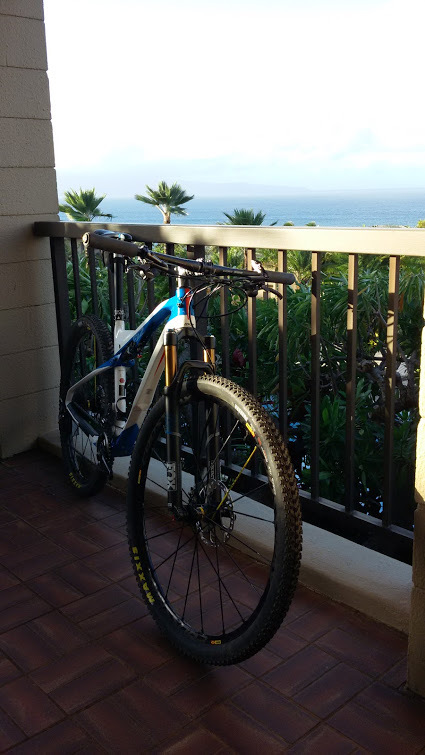 Over the next few days I'll get out onto the trails to check out the bike course and at least some of the run course. Once we arrived, it wasn't long until sun down so after putting the bike together (phew it was all good!) and a quick grocery trip, Sarah and I headed out for a short shake-out run. It gradually got dark so apart from seeing the race village and heading down to the beach it was on the resort roads. Oh I almost forgot....my parents arrived late in the day, we just about stayed awake to welcome them!. They are here for the race and then we go our separate ways as they tour the Hawaiian Islands for the next three weeks. Dad is also racing the trail 10km with Sarah on Saturday so start placing your bets on the winner!